The band consists of Benny, Josh, Michael & Frazer, who plan on bringing their love and appreciation for the rock 'n' roll of the past, as well as a little reggae for good measure to the Newcastle music scene. Despite only forming in the latter part of 2017, these guys are already quickly making a steady breakthrough and proving that a small idea can indeed become the big picture. Whilst a love of reggae & rock is one thing, the lads attribute a lot of their success & formation to music veteran, Professor & legend, Phil McIntyre, who just so happens to be Benny of Rum Jungle's dad (and was once my Professor - yes, I did attend all your lectures ðŸ˜…). McIntyre quickly saw a lot of potential in this group and urged these guys to get cracking & enter something into the Tip Jar Song Competition in 2017. This saw the boys work alongside Phil McIntyre & other seasoned music professionals, such as Mark Tinson and Don Bartley, to create their five-track EP, Crazy Days - which I guess quite literally sums up how that experience probably felt during their 12-hour lockdown recording session at the Impromptu recording studio. Once entered into the Tip Jar Song Competition, Rum Jungle ended up going all the way to the finals with their track, 'Stranded', which earned these guys a lot of respect among fellow musicians and music lovers. Even though Rum Jungle didn't take out the top prize, the boys haven't let that defeat them and have gone on to play at multiple venues across Newcastle, including Newy's music mecca - The Cambridge Hotel, as well as other well known names across this great city. Continuing on from their successes of late last year, Rum Jungle re-released 'Should I Be' from their EP as a little taste taster of what theyâ€™ve got cooking up for their sophomore EP. I imagine that they are probably taking a bit more time to put this EP together, but I guarantee it will be worth the wait. How would you describe your music? Try 5 words or less, if youâ€™re feeling creative. Rock with a tinge of reggae. Stripped back versions of a lot of our originals and a couple covers from bands that have influenced us or we just like. As a musician/artist in Newcastle, what changes would you like to see occur in Newcastle? Do you think changes need to be made to Newyâ€™s current music scene? We'd love to see a bunch more venues open up that can accomodate for bands from all ranges of popularity and a solid all-ages place would be great for the kids that are into local Newcastle music. We love all the local Newy acts, everyone we've met and played with are awesome people and make great music and what's great is that there's a bunch of different genres going around so there's always something good on. We playing 3:15 PM at Cream, will be a nice chill acoustic sesh, hope to see you there. There you have it! To check out more about Rum Jungle, you can find gig updates, new music and other goodies via their social links below. 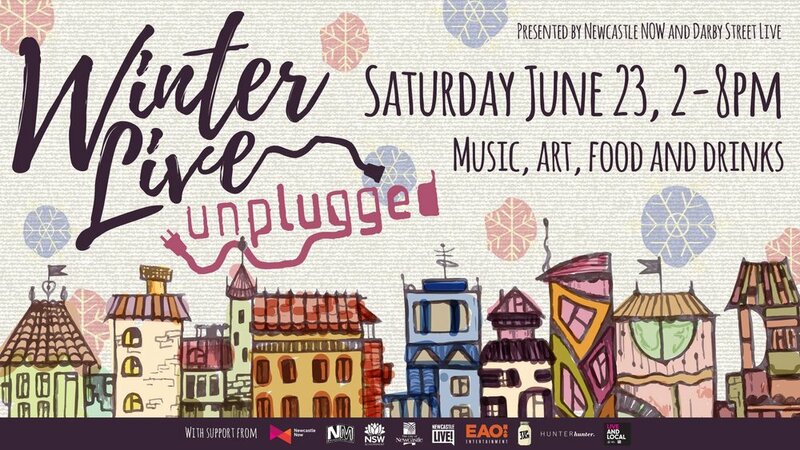 I also recommend you check Rum Jungle's set out at Winter Live: Unplugged on the 23rd of June!